American insurer Travelers’ losses and results overview shows the company had a net income of $621 million in Q4 2018, which included a pre-tax catastrophe loss of $610 million, increasing from $499 million in the prior year quarter. This Q4 cat loss figure consists primarily of $453 million pre-tax ($358 million after-tax) from the wildfires in California and $158 million pre-tax ($125 million after-tax) from hurricane Michael. The firm reported increased after-tax cat losses of $1.4 billion for the full-year, driven by the winter storms in the eastern U.S, hurricane Florence, wind and hail storms in several regions of the U.S and mudslides in California. 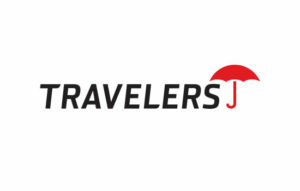 Travelers’ Q4 net income of $621 million compares to $551 million in the prior year quarter. For the full year, the company achieved record net written premiums of $27.7 billion, and net income of $2.523 billion, an increase of $467 million due to higher core income and the $129 million charge in the prior year related to the passage of the Tax Cuts and Jobs Act (TCJA), partially offset by lower net realised investment gains. The firm’s Q4 combined ratio of 97.5% increased 2% due to lower net favourable prior year reserve development and a higher 1.3% impact from catastrophe losses, partially offset by a lower underlying 1.3% CR. For the full-year, the insurer’s CR of 96.9% improved 1% due to lower cat losses of 1.3% and a slightly lower underlying CR of 0.1%, partially offset by lower net favourable prior year reserve development of 0.4%. Alongside its results announcement, Travelers has also announced a new property aggregate catastrophe Excess-of-Loss (EoL) reinsurance treaty which covers losses over $5 million from PCS-designated cat events in North America. The company says 86% ($430 million) of qualifying losses are covered by the treaty and 14% ($70 million) of qualifying losses are retained by the firm, part of $500 million in excess of a $1.3 billion retention. Coverage for, and contributions to the $1.3 billion retention from, hurricanes and earthquakes are limited to $250 million per event. In addition, the company has renewed its corporate catastrophe EoL reinsurance treaty, covering the accumulation of certain property losses arising from one or multiple occurrences. 75% ($1.5 billion) of qualifying losses are covered by the treaty and 25% ($500 million) of qualifying losses are retained by the company, part of $2 billion excess of $3 billion. Qualifying losses for each occurrence are after a $100 million deductible.